Well, firstly fear not, you aren’t on the verge of mental collapse. In fact, you’ve intuitively homed in on a significant date in Chris’ career, one which is fondly remembered by guitar legend Jimmy Page on his new website today. 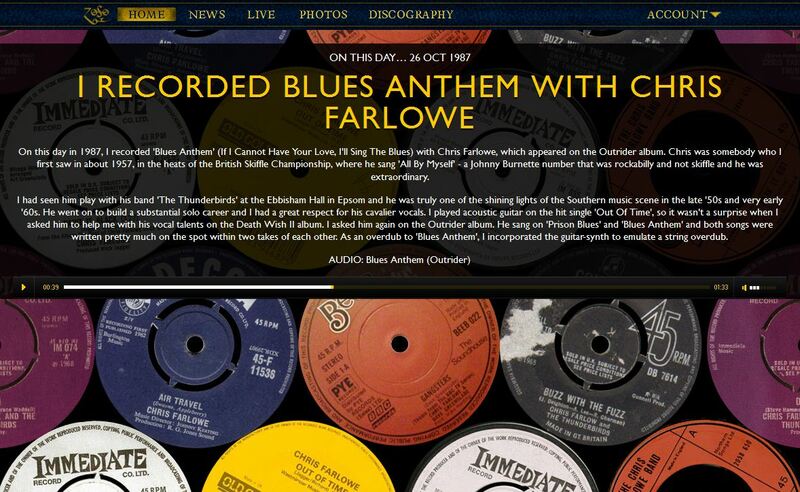 On this very day almost 25 years ago Chris recorded ‘If I Cannot Have Your Love, I’ll Sing The Blues’ with Jimmy, but rather than listening to us ramble on about that October Monday in 1987, why not head on over to Jimmy’s site and read his first hand account and rather endearing words about working with Mr Farlowe over the years. Jimmy has also kindly uploaded a recording of ‘If I Cannot Have Your Love, I’ll Sing The Blues’ for you to listen to, but be quick, as we aren’t sure if the posts on his homepage changes daily or not.